Defra Secretary Michael Gove has said the UK Government will support a full ban on neonicotinoids. Mr Gove, who has consistently made the case for a ‘Green Brexit’, revealed he made the decision after reviewing the latest scientific studies which suggested a link between the pesticides and pollinator decline. Farmers Guardian reported on the Government’s support for a neonicotinoid ban back in August, but Defra strongly denied a change in position at the time. In an article for The Guardian yesterday (November 8), Mr Gove said: “While there is still uncertainty in the science, it is increasingly pointing in one direction. “That is not a risk I am prepared to take, so the UK will be supporting further restrictions on neonicotinoids. The first large-scale, field-realistic experiment to look at the impact of neonicotinoids on honeybees and wild bees was carried out in June by researchers at the Centre for Ecology and Hydrology. 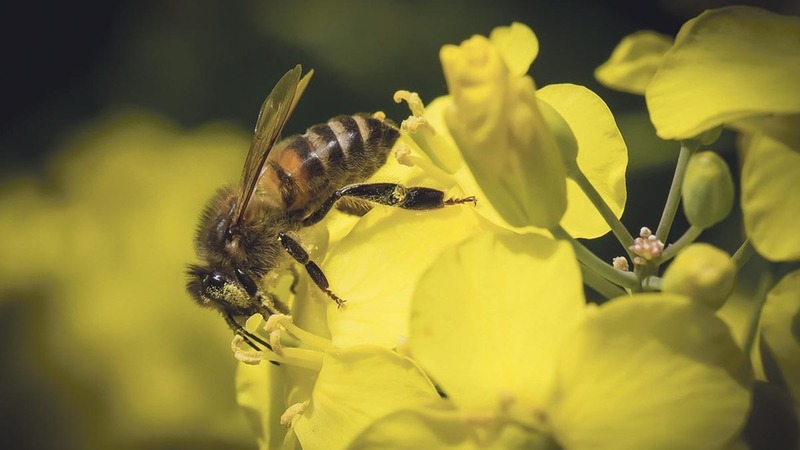 The authors of the report claimed the study showed neonicotinoids were having a negative effect on pollinators, but the NFU and others disagreed with the conclusions drawn. Speaking about Mr Gove’s latest comments, vice president of the NFU Guy Smith said: “The key question for me is if the Government is going to change its policy on neonicotinoid use in the UK, is it also going to change its policy on importing food grown with neonicotinoids elsewhere in the world? Farmers will still be able to apply to Defra for emergency authorisations to use neonicotinoids ‘in exceptional situations’ as they can now. The reaction from the scientific community to the news has been mixed. Lin Field, head of biological chemistry and crop protection at Rothamsted Research, was more cautious. She said: “I think extending the ban to crops which do not flower will create problems for UK farmers, especially for sugar beet and cereals. “For sugar beet there are no alternatives for control of aphids and the viruses they vector, with widespread resistance to pyrethroids and carbamates. Previous Article Why did Scotland's MEPs vote against glyphosate?